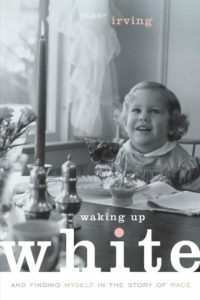 ALL ARE WELCOME TO JOIN THE OPEN BOOK GROUP for its next read: Debby Irving’s recent memoir, “Waking Up White and Finding Myself in the Story of Race.” Called “one of the most important books on race in recent memory,” Irving candidly tells of her journey awareness regarding her privilege as a white person. Please call the church office to obtain a copy. Our discussion will take place Saturday, May 19, 11 am at the Parsonage.